Off message but great walk two Sundays ago in Kent even though we got hopelessly lost. We drove to and parked at the National trust owned moated Manor House at Ightham Mote. Which dates from the 13th century and is justifiably described as "the most perfect medieval house in England". We were suppose to do a 6 mile Jarrold Pathfinder circular walk via Oldbury Hill but ended up to our surprise, at One Tree Hill instead. Obviously, Gill and I blamed each other for the map reading error but since we ended up with a lovely 5 mile ridge walk, it didn't really matter. 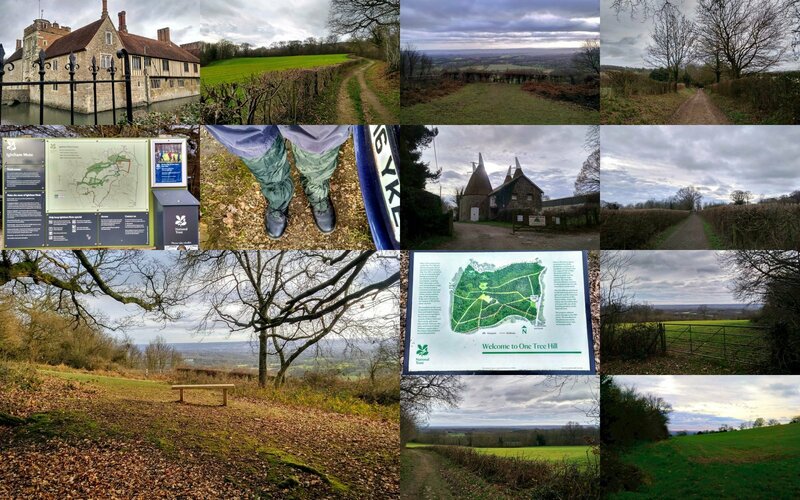 A fantastic walking and history area only a short drive from London.